We’re pleased to announce that we have arranged for Chris Oliver to come to Spokane, Washington to run a 3-day skill development camp for high school, and middle school players. Considerable time will be spent on your dribbling and passing skills — allowing you to reduce turnovers, handle any game situation, improve decision making, and improve overall ball handling skill. You will learn how to beat your defender off the dribble, when to attack, how to create space, and how to develop a more explosive first move. In today’s game, so many players misuse the dribble. They use it and lose their advantage against the defense. You will learn how to effectively use the dribble and cover more space with fewer dribbles at a faster pace. During the camp, Coach Oliver will teach the mental aspects of the game, help you build confidence, and become more aggressive. You will learn how to train your mind not just physical skills. A major emphasis of the camp will be to improve decision making using Chris Oliver’s BDT (Basketball Decision Training) methods. You will improve your ability to think and act in decisive ways. The unique decision making drills and skills will help you perform under pressure at the highest level. Shooting is a critical skill to be an effective player. You’ll learn Chris Oliver’s keys to effective shooting and experience a variety of shooting drills to help you improve accuracy and ability to score points. One of the biggest benefits to the BDT training camp is the development of a confident attacking mindset. The drills, tools, and knowledge you’ll receive at the camp will help you become more aggressive and assertive in games. Throughout the camp, Coach Oliver will integrate speed and agility drills to help you improve defense, your first step, and overall agility. With a ball in your hands throughout most of the camp, you’ll get opportunities to improve your finishing moves and ability to finish at the basket. You’ll learn what to do with the ball after you beat your defender and how to score more points. Campers will leave with a better sense of self and a better understanding of what it takes to be successful in basketball and, in turn, every aspect of life. We will address technical, tactical and applied aspects of basketball that will help a player develop their game beyond the level they are currently at. What is BDT (Basketball Decision Training)? Players will learn when to pass, when to shoot, when to dribble, when to drive, angles to take, how to be more aggressive, and more. Coaches will promote a fun and safe environment that encourages positive and purposeful learning experiences. As you can see, this is a unique camp that will be unlike other camps you’ve been to. The use of BDT methods, and Chris Oliver’s unique style, makes for a VERY intense yet fun atmosphere. We have chosen this camp and Chris Oliver because of his quality training methods and ability to get results. More than other traditional camps, this camp will provide you with the drills and skills to continue your development beyond your time at camp. BDT drills will be used to build the ideal camp learning environment. You will learn by doing. We will teach you to consistently and deliberately work to improve your performance. Coaches that want to learn and pick up new drills can also observe for a small fee (coaches can find more info below). Chris has 23 years of university coaching experience. 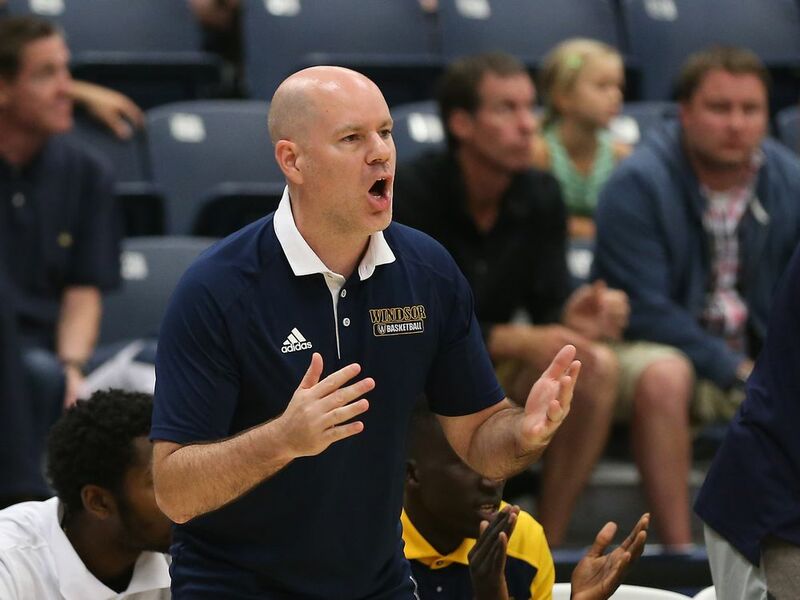 For the last 8 years he has been head coach at the University of Windsor where he has compiled a .750 winning percentage. His teams have been nationally ranked seven of the last eight seasons. He has won multiple coach of the year honors and his teams have won three conference league championships and made two trips to the elite eight. He has coached against top-level NCAA programs like Kentucky, Ohio State, Virginia Tech, St Louis and many others. His players have developed to play professionally in Europe and for the National Program. Coach Oliver just celebrated his 200th career OUA win. Congratulations, Coach! Camp attendees can get a 10-15% discount by using this link and booking any hotel owned by the Wyndham Hotel Group (Days Inn, Ramada, Baymont, Microtel, Super 8, Howard Johnson, Travelodge, Knights Inn and Wingate). Find a nearby Wyndham hotel and get the Breakthrough Basketball discount.